Limited Edition – 2000 decks. 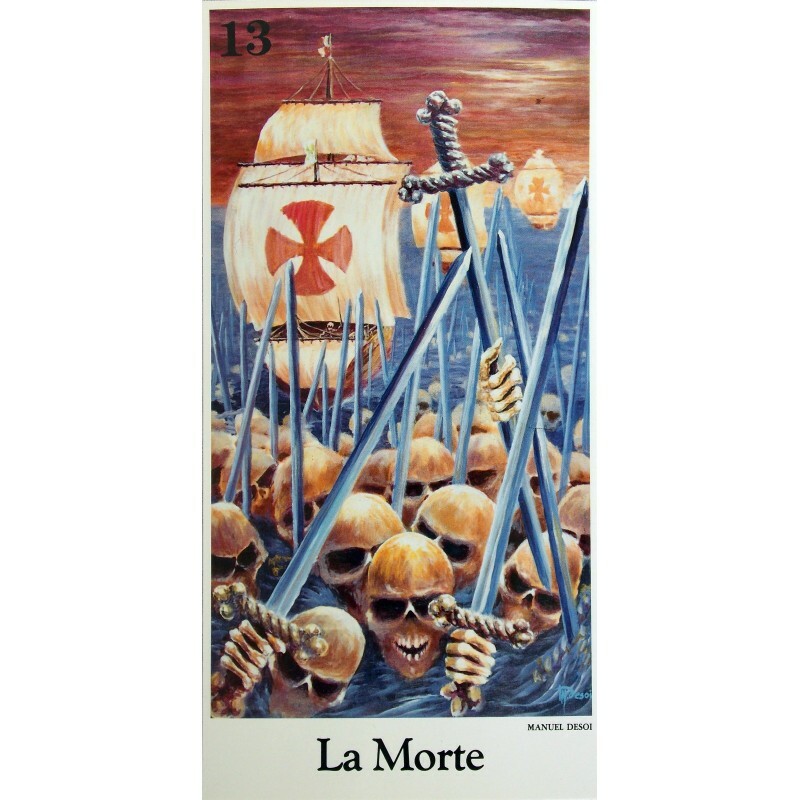 A collaboration of 22 artists each contributing a Major Arcana (in 1992) to commemorate the 500th anniversary of Christopher Columbus. 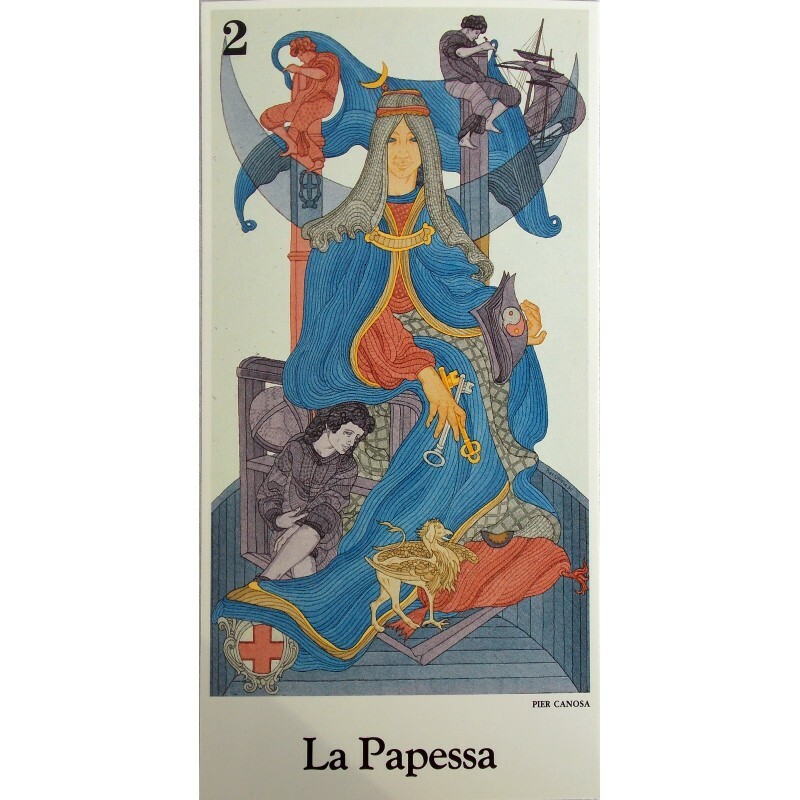 The deck was published by Osvaldo Menegazzi of Il Meneghello, (who contributed the Sun Card). A limited, numbered edition of 2000. Specs: Titles in Italian, full color deck on card stock with plain taupe backs. 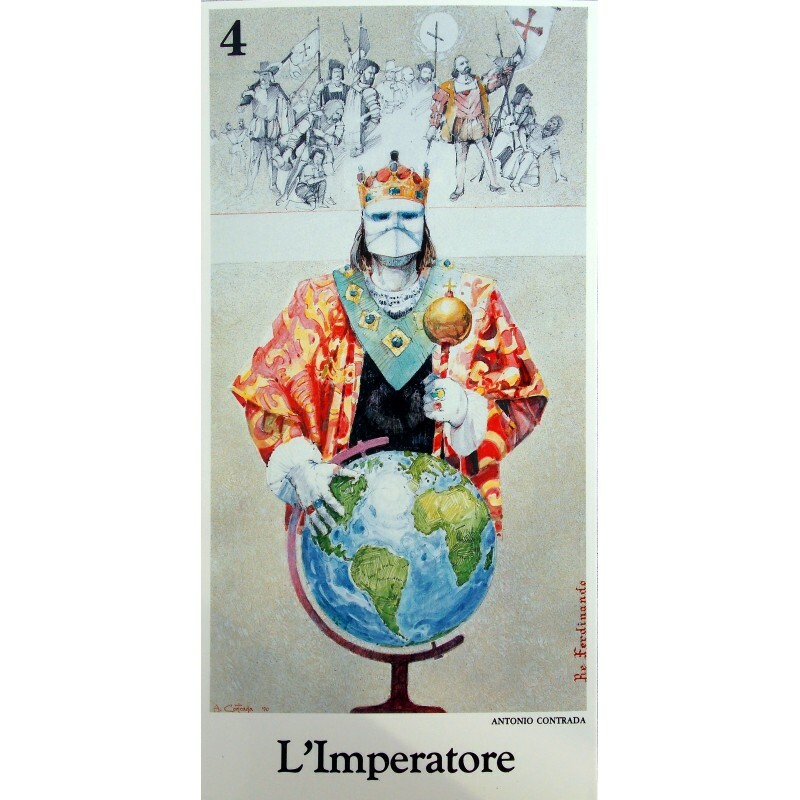 This edition (oversized): approximately 19 x 9.5 cm. (190/95 mm.) Comes with commemorative notice and booklet, (both in Italian). Box style: sturdy slipcover with ribbons.